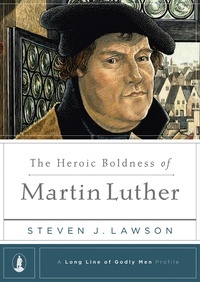 One of several books in Reformation Trust’s “Long Line of Godly Men” series, The Heroic Boldness of Martin Luther details what made Luther such a powerful preacher. Most people are familiar with Luther’s Ninety-five Theses, nailed to the door of Castle Church, against the practice of the selling of indulgences by the church. Many will know that this was a giant step forward in the Protestant Reformation, but they may not realize that Luther’s preaching would go on to be a model that pastors and preachers would continue to follow. 1. The Bible is divinely inspired. 2. 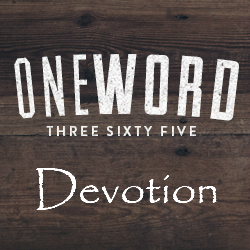 God’s Word is absolutely pure and infallibly true. 3. Scripture alone is the supreme authority for believers. 4. The Bible is clear and understandable to all. 5. The Bible is sufficient. Luther’s belief that Scripture was meant for everyone led him to publish a German New Testament. This New Testament was translated from the original Greek, not the Latin used by the Roman Catholic Church. The importance of Scripture in Luther’s sermon preparation was also evident. He always began his study with a prayer to understand what he was about to read, and he often. He focused on the Bible first, and is quoted as saying, “The Bible will be buried under a mass of literature about the Bible, and the text itself will be neglected.” He devoted time to exegesis of the Biblical text in the original languages of Hebrew and Greek, as well as the scholarly language of the time, Latin. He also knew that his studies were dependent on the illuminating work of the Holy Spirit. Above all, Luther’s sermons were always Christ-centered. Whatever the text, Luther preached Christ. This book is very informative as a study on Martin Luther’s effectiveness as a preacher, and his dedication to the Word of God. I give this a rating of 5 of out 5. I was given a free PDF copy of this book from Reformation Trust in exchange for an honest review.